Los Angeles, CA—I just finished watching the film, “12 Years A Slave.” I found the acting superb. The cast and crew behind the film were as good as it gets. 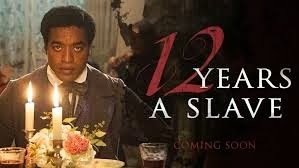 As for the film it was little more than the historical revision of American slavery. In the film every Black was a hero or victim and every White (except Brad Pitt’s character) was evil. Dramatic entertainment license trumps truth every time. Make no mistake slavery was and will always be a terrible stain on America’s honor and sensibilities. The film ignored the realities. Africans were kidnapped and sold to slave traders by other Africans. Jungle savages were bought here and sold as property. The enslaved Africans soon embraced American Christianity and simply became a menial and somewhat willing workforce. When the slaves were freed the vast majority found themselves in non-union jobs on the same plantations where they were enslaved. Did anything really change? The freed slaves universally had no interest in returning to Africa. The grandchildren and succeeding generations of African slaves have since enjoyed opportunities and wealth that they or their fellow Africans never envisioned. The evolution of that workforce can be seen today is at fast food and Wal-Mart. These workers become conditioned and convinced that this is their place in life and simply adapt. Rather than seek education or more profitable skills these workers become trapped in their crappy lives sometimes for multiple generations. When humans are given absolute power over other humans unthinkable atrocities always occur. The rapes, beatings and murders of slaves were reality but thankfully the exception rather than the rule. The truth is Southern plantations would have had to operate as maximum security prisons if the kind of abuse that this Hollywood creation was commonplace. Rebellion and escape would have brought productivity and the Southern economy to a standstill if the plantations were anywhere nearly as miserable as depicted in this film. Productive slaves by necessity were well fed and humanely treated. The reality is when you remove humans from their homes and introduce them into utter dependence they adapt quite well. Those in control can easily recruit slaves to police and control the others. American slavery and the Nazi Holocaust could never have succeeded without near total cooperation by those victimized! After World War Two’s end Jewish people worldwide chanted, “Never Again!” The suggestion was that they’d never allow anyone to dominate and abuse them again. That rings so hollow today. After abolishing slavery we added the 14th Amendment protecting everyone on American soil with, “Equal Protection Under Law.” Then we spent the next 200 years watering down and creating exceptions to the original Bill of Rights. There is little freedom left so the meaning of Equal Protection today is dubious at best. Freedom is no longer popular particularly among Democratic Party voters who are overwhelmingly Black and Jewish. They redundantly elect politicians that want nothing less than to eviscerate every protection in the Bill of Rights. Victimized African’s and Jews accepted their fate and knew their place in society. They meekly accepted orders to board various implements of transportation and resettled as they were told. They did not revolt as long as they were given rules and barely minimal food. As long as the enslaved were convinced they could not be beaten, staved or murdered they’d totally cooperate with their imprisoners. The best people control tool in this setting is community punishment for any individual’s supposed transgression. If one person tried to escape or resist everyone would be denied food or would suffer some form of punishment. That makes slave’s self-policing an easy fact of life. The Nazi’s could have never succeeded with their Final Solution without the thousands of capos who sold out fellow Jews and policed them for better food and conditions. The capos were often very bit as if not more evil than the Nazis. When the allies liberated the Nazi concentration many capos were simply beaten to death by fellow inmates. Too bad the inmates did not kill the capos as they were given power over fellow prisoners. If we have not learned from the past we are doomed to repeat it. What’s past is prologue. Holocausts have happened since the beginning of the human race and they will continue until he humans evolve or become extinct. We are all conditioned to slavery. Anyone claiming they’re not merely has to remember their meekly submitting to detention and search by TSA screeners. Of course while we are preparing tax returns and writing checks to pay for Obama’s “Nanny Government” and his extravagant vacations slavery does enter our minds. When our government invents a crisis and tells us to board the buses to various shelters history says we will all quietly line up and do as we are told. Thank you for the very well written article...i would not waste my time seeing the PC white guilt movie. I live in Chicago and i could write a chapter a day for a crime novel. Slaves were expensive and treated as property. Why would you beat or chop your tractors foot off? ?Who would pick your crops and plow your fields? Historical evidence shows slaves were given shotguns to go and hunt for birds and small game.Meat didn't exactly come from the local Piggly Wiggly.